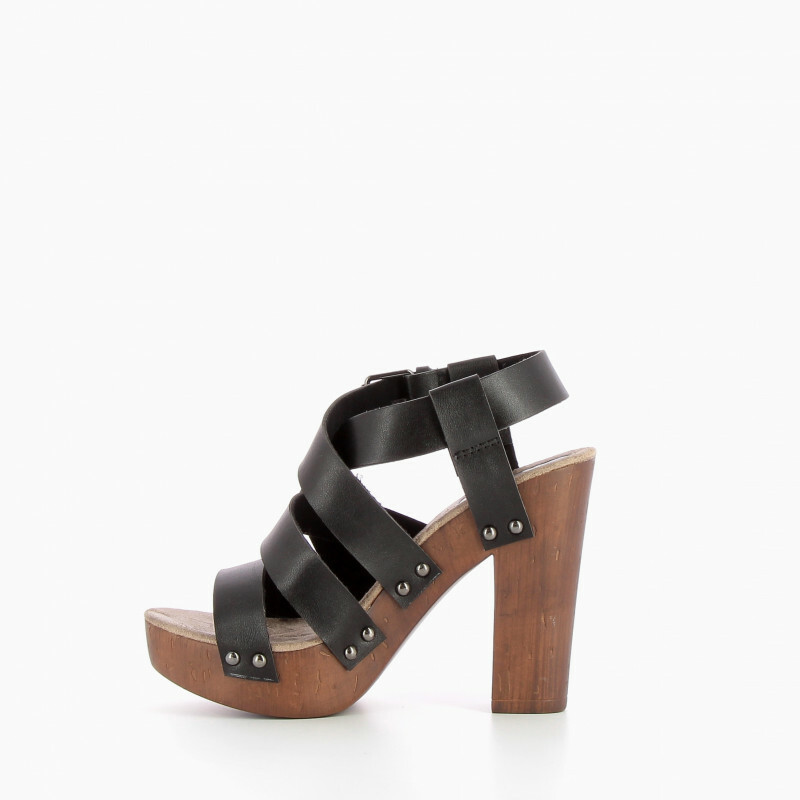 Reminder to the seventies, the clog is back with his wooden heel, metal studs, and multiple bridles crossed. Wear it with high-waisted denim shorts and an oversized blouse: retro-inspired look! 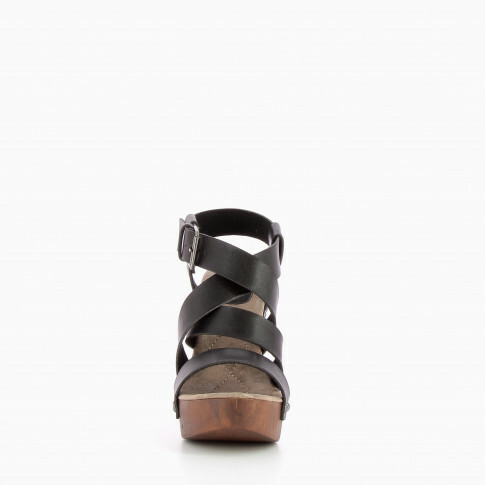 Clogs with black cross-bridle, metallic round studs, and wooden heel. Closing with adjustable ankle strap and silver buckle.